The Senate late Friday night passed a $10 billion water bill that includes $415 million for projects in the Lake Tahoe Basin. The vote sends the bill to President Barack Obama for his signature. 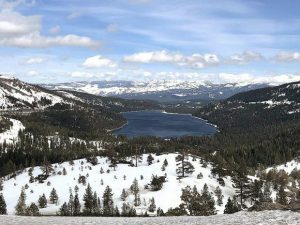 Passage in the Senate, which followed passage in the House Thursday, was cheered by conservation organizations and other backers that have worked for years to reauthorize the Tahoe provision, known as the Lake Tahoe Restoration Act. “This is a great day for Lake Tahoe. We are thrilled that Congress has passed the full Lake Tahoe Restoration Act, intact with the protections we supported,” Darcie Goodman Collins, executive director of The League to Save Lake Tahoe, said in a statement. Although it looked like approval in the Senate would be more treacherous than in the House, largely due to opposition form Sen. Barbara Boxer, D-Calif., and others over provisions to divert more water to corporate farmers in California, the bill passed 78-21. It received bipartisan support. “After many years of climbing this mountain, we have arrived to the summit. Federal policy is once again focused on preserving Lake Tahoe for future generations of Americans to enjoy,” Sen. Dean Heller, R-Nev., said in a statement. “I’m thrilled that the Lake Tahoe Restoration Act is included in this bill. We’ve been working to pass an updated Tahoe restoration bill for seven years. 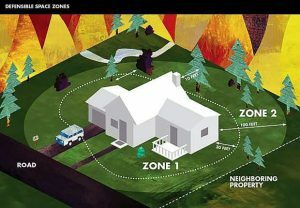 This bill authorizes $415 million to carry on the work of the original bill, improving water quality, reducing hazardous fuels to prevent wildfires, fighting the spread of invasive species and restoring critical habitat throughout the Tahoe Basin,” Sen. Dianne Feinstein, D-Calif., said in a statement.